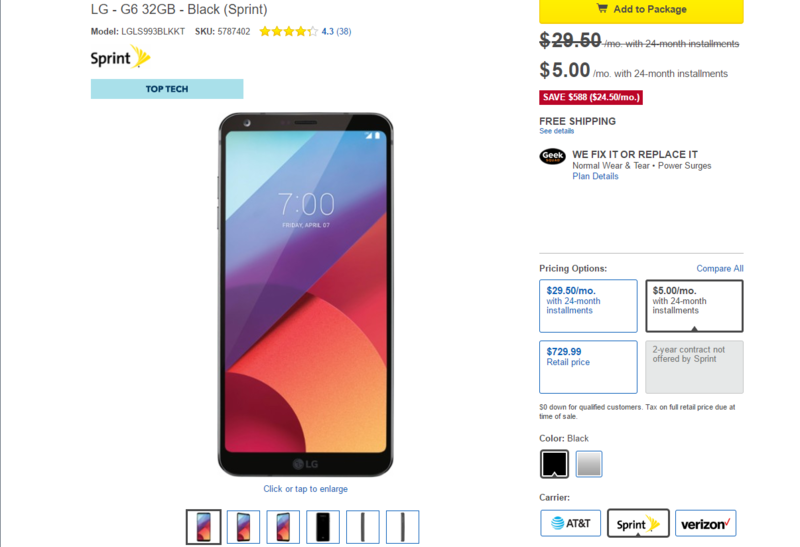 Best Buy's short Father's Day promo is set to expire tonight, so if you are interested in picking up LG's latest flagship, the G6, on Sprint for just $5 a month over 24 months, you'll have to do it soon. That price works out to $120 over two years, a savings of $609 over the full retail price. That is an exceedingly good deal. 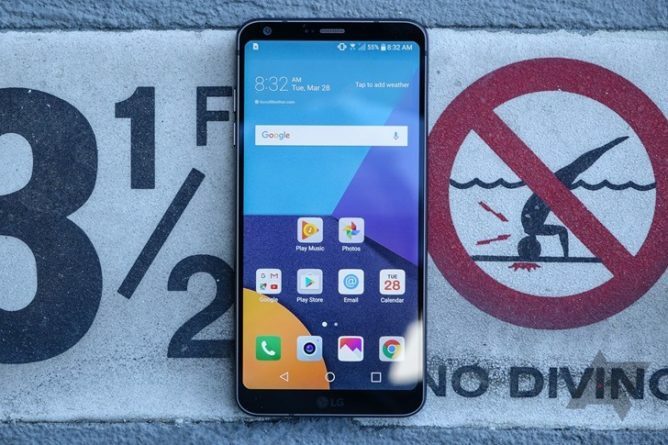 The promotional offer does have some terms and conditions associated with it, and the phone isn't likely to work outside of Sprint's network. But, if it fits your niche, it's a fantastic price. This promotion is only available at Best Buy and Sprint, so far as I can see, and it expires tonight. It also requires that you activate a new to get the offer. So if you aren't already paid off, or you aren't interested in signing up for Sprint service, then you are out of luck. You can pick it up in black or "platinum," just be sure to select "$5.00/mo." under pricing options. Sprint is also running the same deal with an extra $30 off via the coupon code ACTWEB. That brings your total price down to $90 for a new LG G6. Dang. Weekend poll: How much did you pay for your current smartphone?